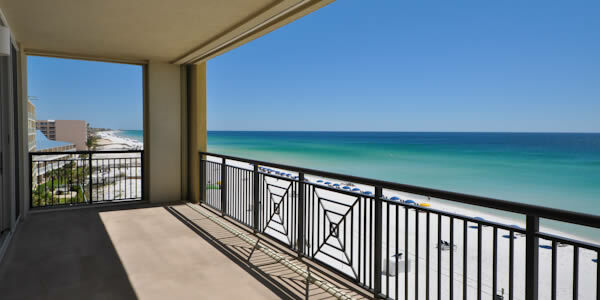 Relax in upscale elegance in this first class gulf front mid-rise on Okaloosa Island. Featuring luxurious Mediterranean architecture, this condominium has all the top quality design and attention to details you would expect in graceful waterfront living, all behind a gated entrance and privacy walls. Bella Riva offers finely appointed condos that are showcased with travertine floors, granite counters, Viking appliances and floor to ceiling glass doors leading out to the balconies. The spacious balconies are truly over-sized and include built in hurricane shutters and are equipped with natural gas for grilling. Living areas and bedrooms are large and airy and have plenty of space to accommodate your family’s needs whether that is a full time residence or a breath taking vacation home in Fort Walton Beach. All units are pre-wired for telephone, security, audio, and internet. 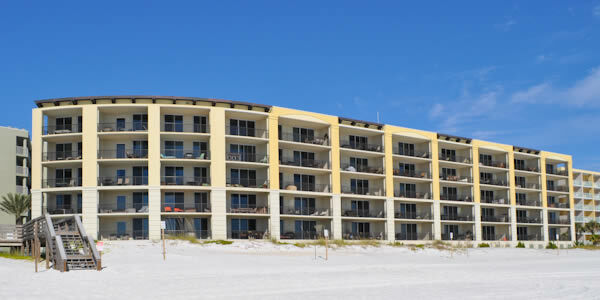 Bella Riva is surrounded by the natural beauty of Florida's famous Gulf beaches and sand dunes covered with sea oats. The seasonally heated Gulf front pool and hot tub at are adorned with fountains and lush landscaping located adjacent to 400 feet of private beach.